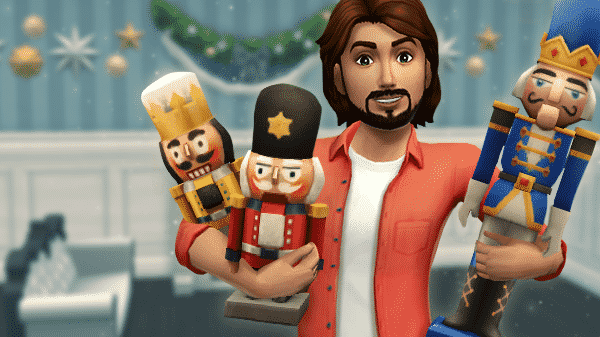 The Sims Mobile Team provided us with a complete walkthrough of the Welcoming Winterfest Head Start Quest! 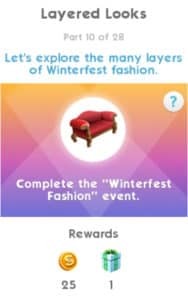 This 28-part Quest is going to help you prepare for the big Winterfest Event which is going to be available later on. 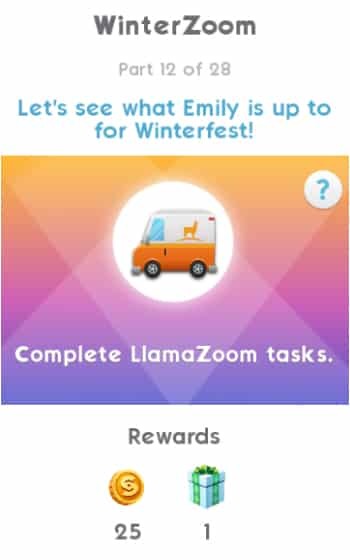 We’ve made a video of this quest so you can check out all the quests available and their specific interactions. You can check out the video down below and check all the steps you need to take to complete this quest below the video! 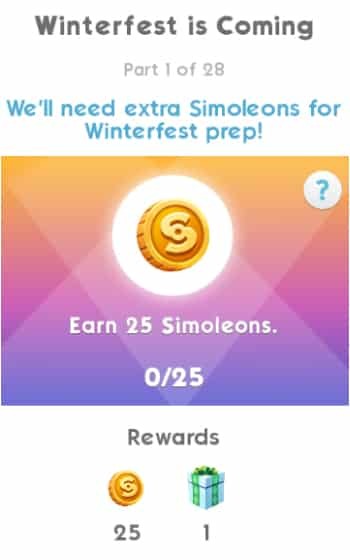 Part 1 – Earn 25 Simoleons. 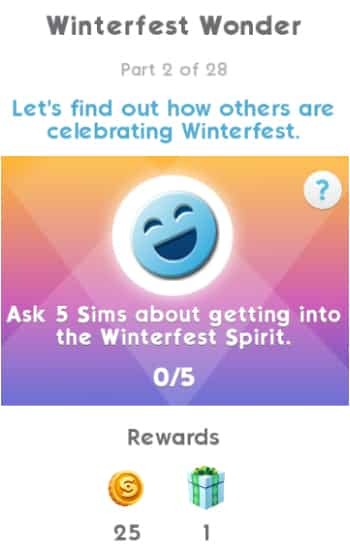 Part 2 – Ask 5 Sims about getting into the Winterfest Spirit. 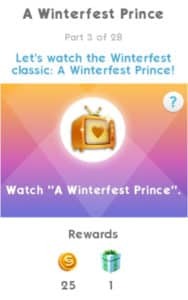 Part 3 – Watch “A Winterfest Prince”. 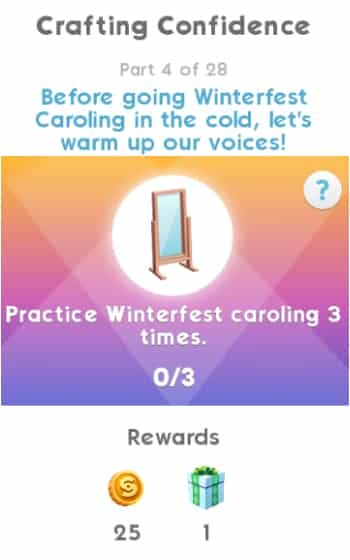 Part 4 – Practice Winterfest caroling 3 times. Part 5 – Complete 3 Events. Part 6 – Plan out Winterfest home decorations. 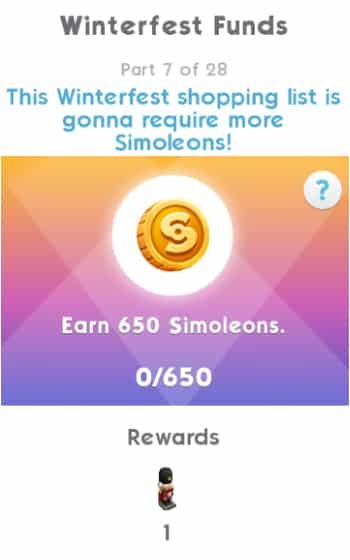 Part 7 – Earn 650 Simoleons. Part 8 – Complete the “Cafe Caroling” event. Part 9 – Earn 3 stars at a party. 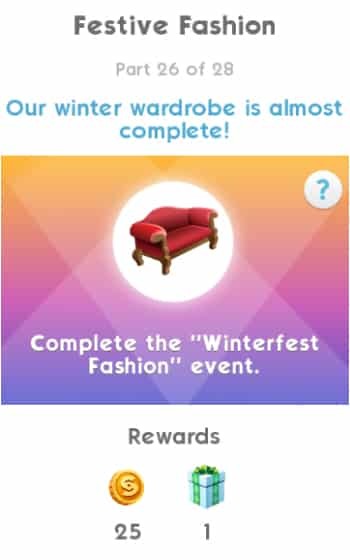 Part 10 – Complete the “Winterfest Fashion” event. Part 11 – Give stickers to 4 Sims. Part 12 – Complete LlamaZoom tasks. Part 13 – Give 5 Sims homemade pie. Part 14 – Complete the “Cafe Caroling” event. Part 15 – Plan to one-up the neighbors’ decorations. 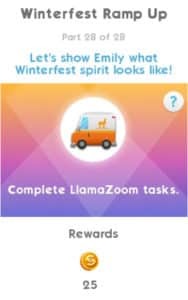 Part 16 – Complete LlamaZoom tasks. Part 17 – Share love of Winterfest log channel with 3 Sims. Part 18 – Complete the “Winterfest Fashion” event. 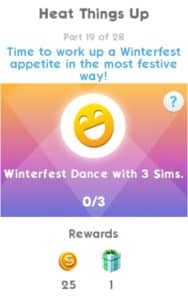 Part 19 – Winterfest Dance with 3 Sims. Part 20 – Complete LlamaZoom tasks. Part 21 – Give a Winterfest spirit hug to 5 Sims. Part 22 – Complete the “Cafe Caroling” event. Part 23 – Chug eggnog at the fridge. 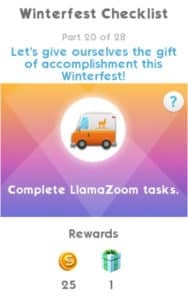 Part 24 – Complete LlamaZoom tasks. 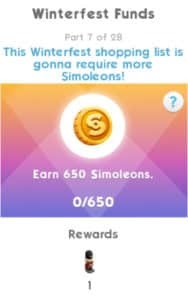 Part 25 – Earn 650 Simoleons. 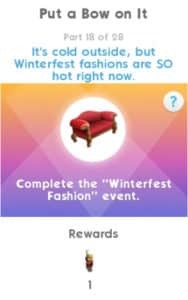 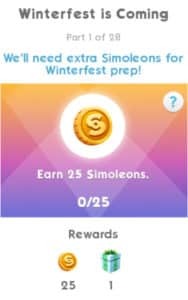 Part 26 – Complete the “Winterfest Fashion” event. Part 27 – Give 3 Sims a Winterfest present. Part 28 – Complete LlamaZoom tasks. Just like the last quest this doesn’t work! 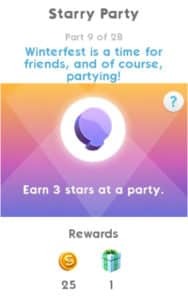 I’m stuck at step 5. I sent my sim to do part 5 and when I went back later my sim was at work. Now I have no option to send a sim. 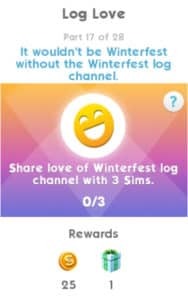 Also my sims had lost the ability to do quick and long career events making some tasks difficult. Hurry up and fix your issues before I give up! My game hasn’t been saving when I close it. I completed a long work task, then played for 30 minutes & closed the app. When I got back on 15 minutes later, it still had me waiting to collect my rewards from my long work task. 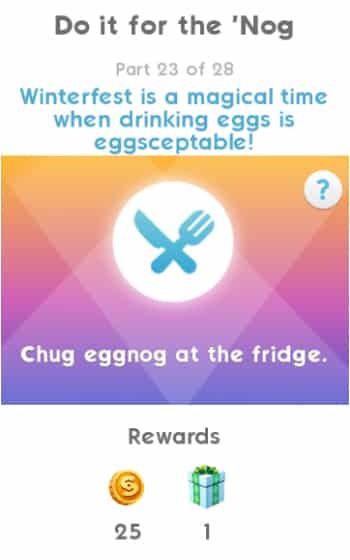 Who would I contact about that? 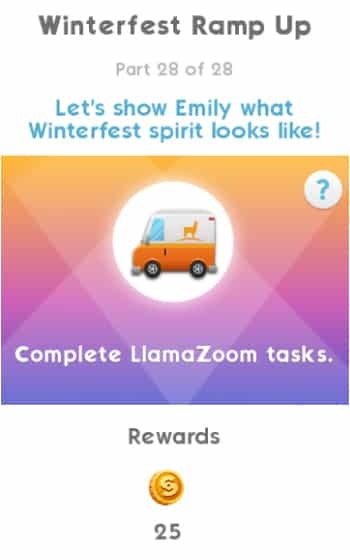 Also, why is there no rhyme or reason to our inventory?? 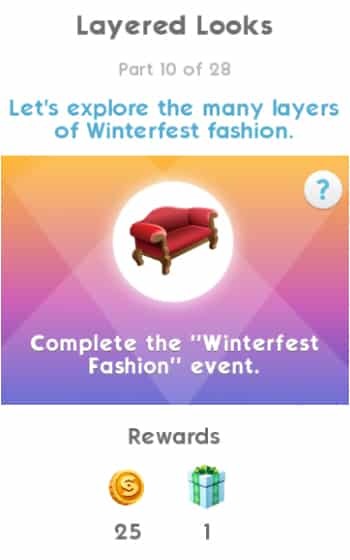 Everything is in there like a free-for-all! Shouldn’t it be organized by either alphabetically, date received, category of item (bedroom, etc). It should be organized by something… ANYTHING! Any criteria will do, but just do it. I can’t complete part 3. 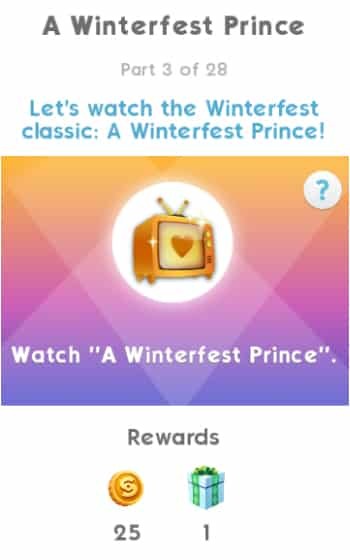 Where do I find a TV or get a TV?